Cortana was introduced through Windows Phone as a competitor to Apple’s Siri on iPhones and iOS devices. With the release of Windows 10, all consumers can take advantage of what Cortana brings to the fold through voice commands. Cortana, once setup, can do a variety of things to make your life easier when using a Windows 10 PC. Let’s look at what Cortana can do in Windows 10, how you can have fun with her and whether or not you should start using her more often. Cortana comes default with Windows 10, so once you set it up, you can use her to the fullest extent. Cortana can open apps, give you the weather, tell you sport’s scores and more. Whether you use Cortana for a few tasks or to change the way you use Windows 10, Cortana is meant to be used at her full potential. 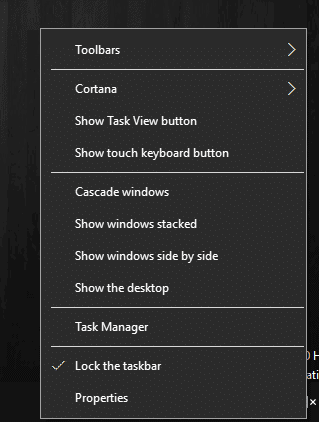 You’ll find Cortana in the bottom left of your Taskbar in Windows 10. You’ll find a search bar, along with the microphone icon. Once you enable “ Hey Cortana” functionality, you won’t need to touch the mic icon to give her a command. 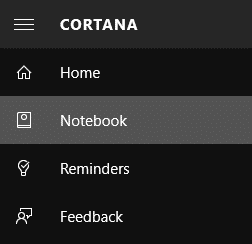 Cortana’s menu gives you access to Cortana herself, your notebook, reminders and feedback for Windows 10. Cortana’s notebook is details it keeps for you, and settings you can change, on a variety of ways she’s helps you as your virtual assistant. This includes keeping track of your connected account, your profile, favorite restaurants, directions, weather and more. 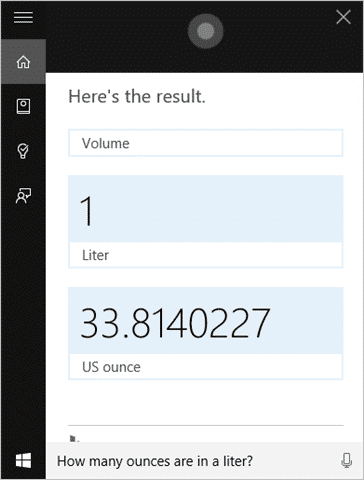 For maximum potential with Cortana, you’ll want to go through each Notebook item and customize it to your liking. 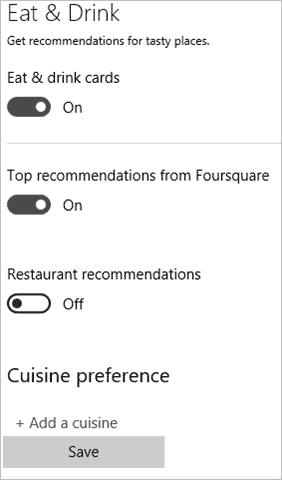 You can add your favorite places for Cortana to use for directions, weather and news. 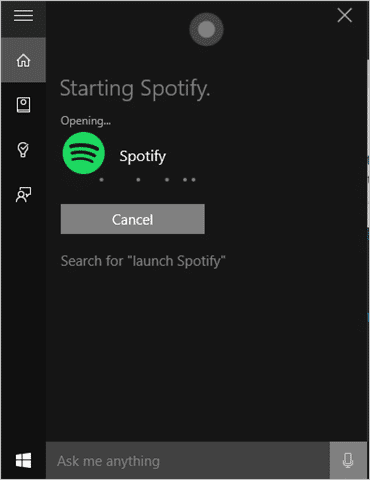 You’re also able to connect certain Microsoft features and accounts for Cortana to access to give you more information when asking questions. Cortana can save reminders for you. You can tell her when, where and what you need reminded about. This can be as simple as avoiding burning dinner or an appointment with friends. 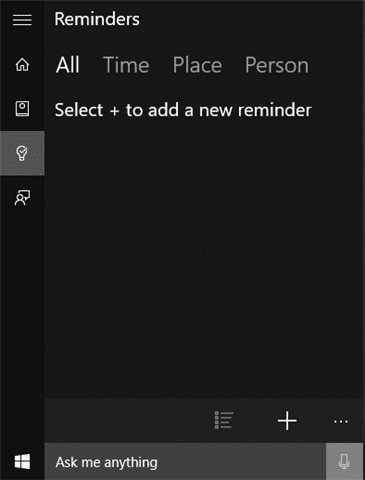 You can add reminders manually or tell Cortana to do it for you. 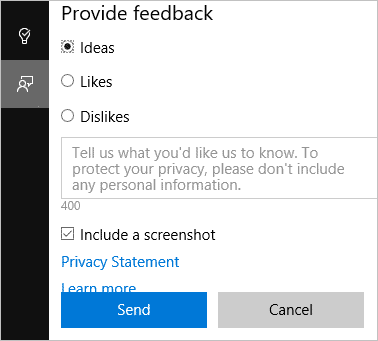 You can also offer feedback on Windows 10 through Cortana, which is a quick way to tell Microsoft just how you feel about the OS. Use this. It’s one of the primary ways, even if you’re an Insider, to get changes made to Windows 10. 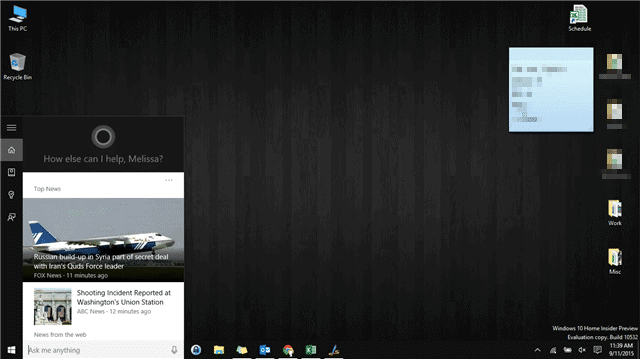 This will give you the quickest way to use Cortana in Windows 10. We recommend turning it on and going through the voice tutorial to get Cortana used to how you speak and give commands. This will make using her that much easier and efficient. When you’re using Cortana in the beginning, we recommend keeping Cortana tips on. This will give you hint and tricks for using her, introducing you to questions you can ask her that you didn’t know you could. Cortana take some time to get used to, especially if you don’t use voice commands on your phone, gaming console or elsewhere. It can also take a bit for Cortana to get used to you giving her commands. What Can Cortana Do For You? Cortana can answer a variety of questions, play game and offer trivia. Let’s look at some of the things you can use to kill time with Cortana. Ask Cortana to tell you a story. You’ll laugh at the results time and time again. 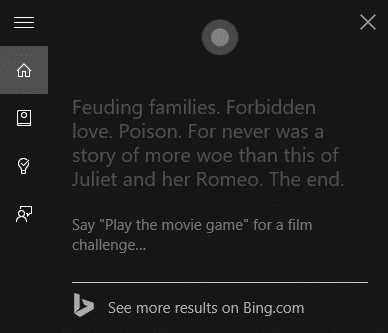 Cortana can play games, too. Ask her to play the movie game and see if you can beat her increasingly harder clues. Don’t have time to watch your favorite team cream their rivals? 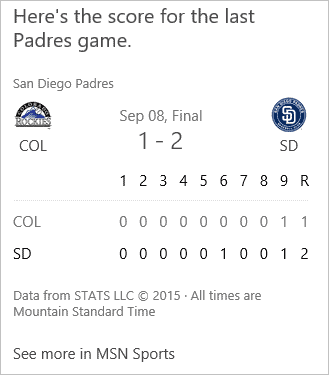 Ask Cortana for the latest scores. Not sure what song you’re listening to? 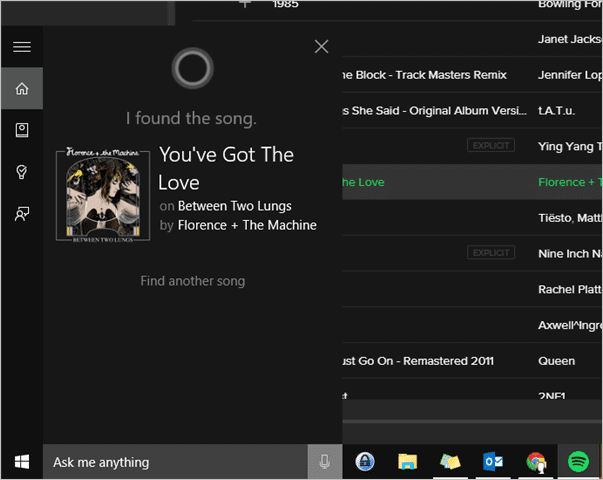 As long as Cortana can hear the lyrics, she can tell you what song it is. Need to know how many ounces are in a liter? Need to multiply some big numbers? 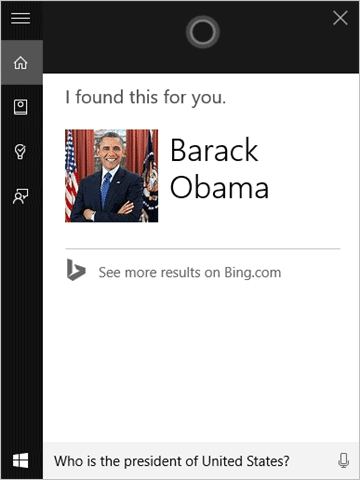 Cortana can help! Cortana can answer basic questions for you, like this. Need to get somewhere? 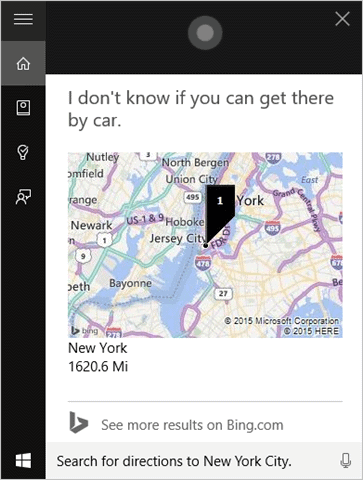 Cortana can give you directions, although sometimes she gets it wrong. Ask Cortana to open apps for you to save time. 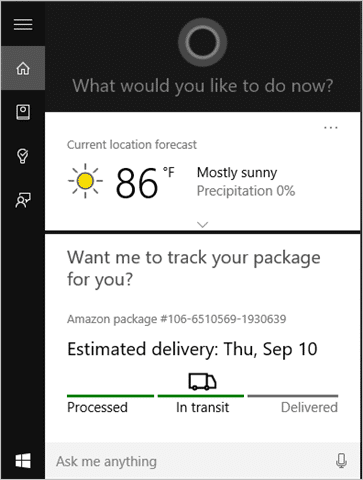 Cortana can track packages, pulling data from Outlook to do so. As you can see, Cortana can almost do it all. She can’t make you a sandwich, but she can give you the directions to get one. Can’t make the game? She can keep you up to date on the score. Want to know if you need an umbrella for the day? Cortana can update you on the current and future weather conditions. Don’t want to use Cortana at all? There’s a fix for that, too. 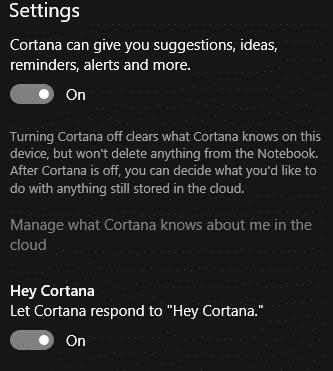 Make sure you have “Hey Cortana” turned off in her settings. 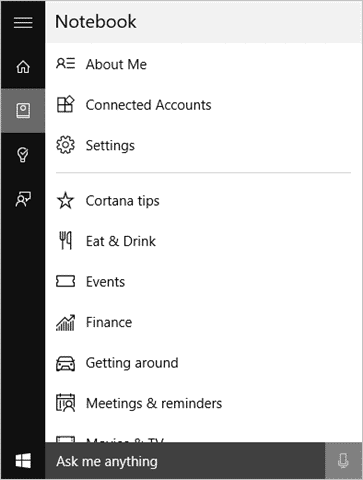 From there, you can remove the search and Cortana icon from the Taskbar by right-clicking and opening the Cortana sub-menu. Then, click “Hidden” as the option. You can completely uninstall Cortana in Windows 10 with this nifty guide from our friends at WinAero. However, be cautious when doing so, this is a highly integrated feature in Windows 10 and may render certain parts of your OS unstable by doing so, most notably the Start Menu and Windows Search. Proceed with caution if you want to uninstall Cortana. Cortana is a welcome addition to the Windows 10 OS, especially with the ways she can help you. She’s playful, has a pleasant voice, and has a variety of functionality to help you as a virtual assistant. With Cortana already on Windows Phone and a beta version available for Android users, it’s only a matter of time before more consumers give her a spin and see how she can help make the Windows family platform work even better together.